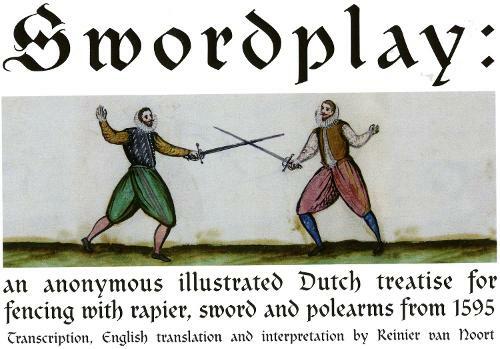 This short text with beautiful watercolour illustrations dates from 1595, and details fencing with the single sword, rapier and dagger, rapier and buckler, halberd, and full pike. Schermkunst is one of the oldest known martial arts treatises from the Low Countries and provides a glimpse into the `Art of Defence' as it was practiced during a particularly volatile time in Netherlands history. Rebellion against Philip II of Spain led to independence of the Calvinist Northern provinces from Catholic Spain. In the same year, the spice trade expedition set into motion events culminating in the formation of the Dutch East India Company, and a golden age of Dutch history that spanned the 17th century.